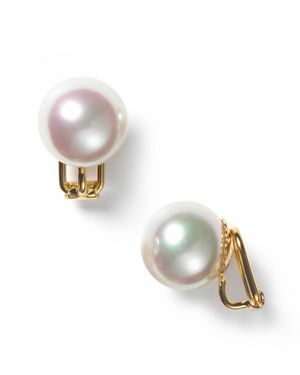 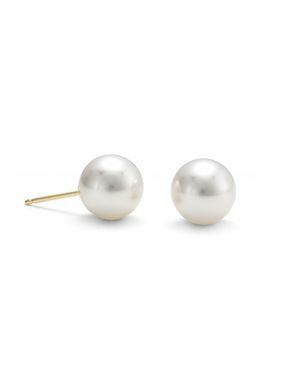 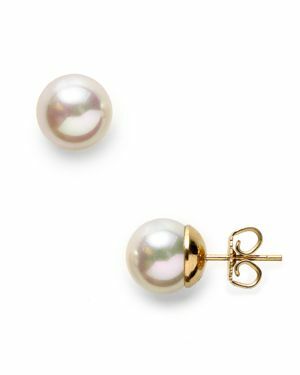 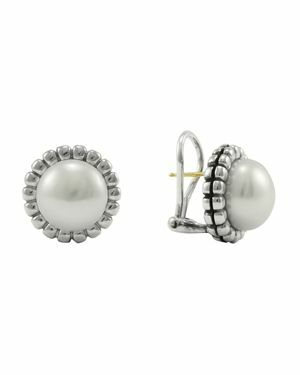 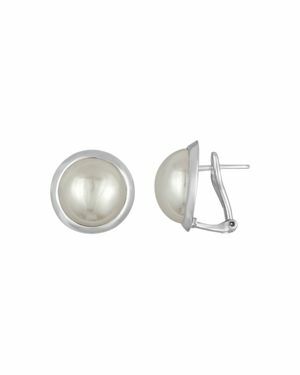 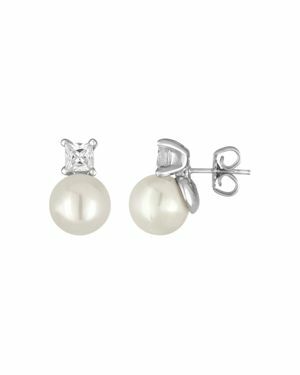 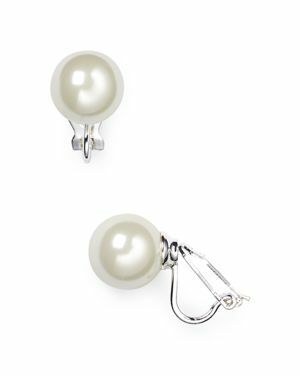 Ralph Lauren - Lauren Ralph Lauren Imitation-Pearl Stud Earrings, Forever polished these classic imitation-pearl studs from Lauren Ralph Lauren are the workhorse of your jewelry wardrobe. 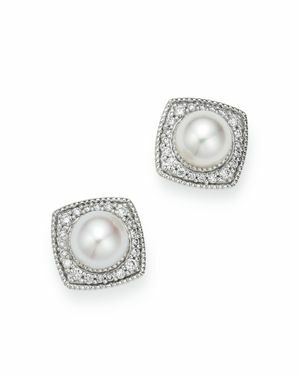 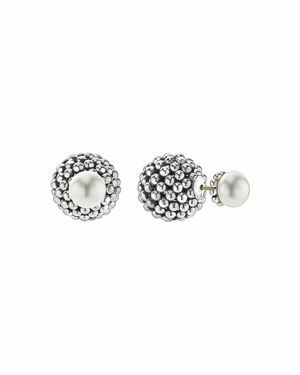 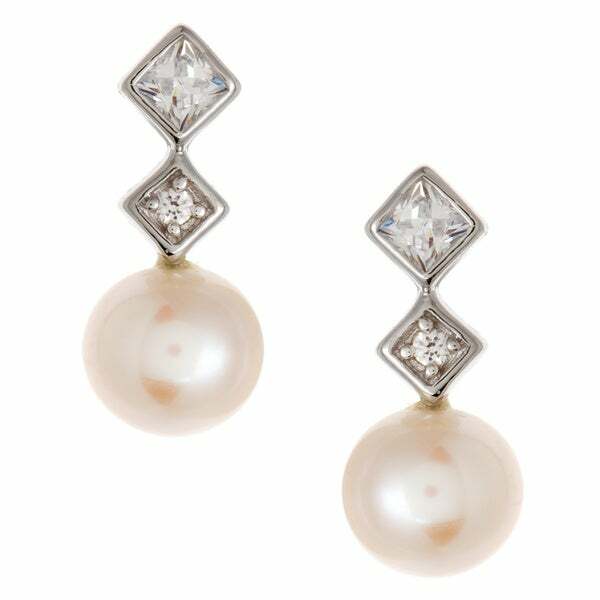 Majorica - Simulated Pearl Stud Earrings Pearls have earned their place in a woman's jewelry box with their dreamy finish and grace. 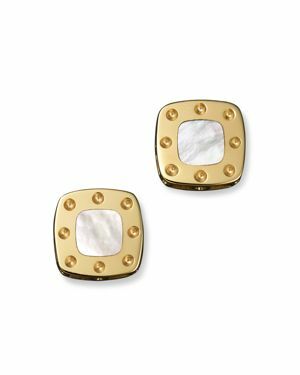 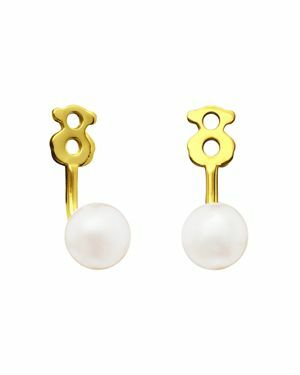 Majorica's organic man-made pearls makes a perfect case.
. - Punched Square Earring w/Small Pearl 23kt Gold Ver Geometric earrings with a small pearl accent. 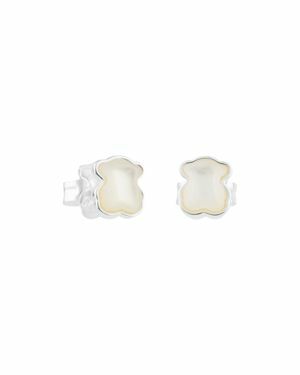 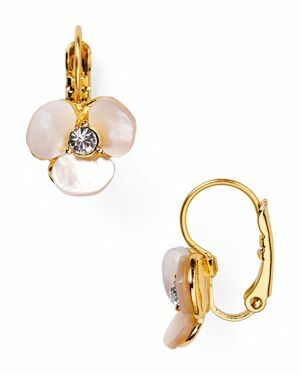 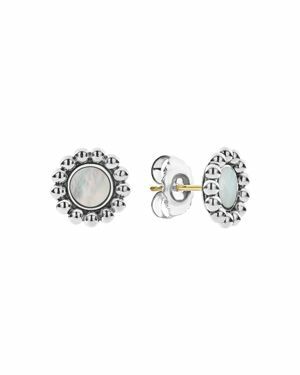 Kate Spade - kate spade new york Disco Pansy Leverback Earrings The season's floral trend finds its way to your jewelry box with these feminine Mother-of-Pearl drop earrings from kate spade new york. 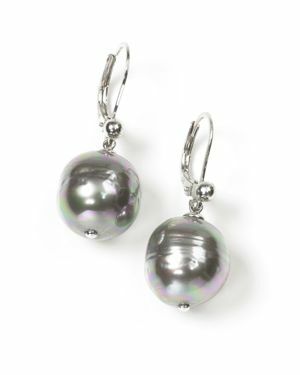 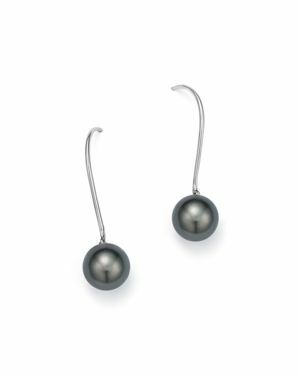 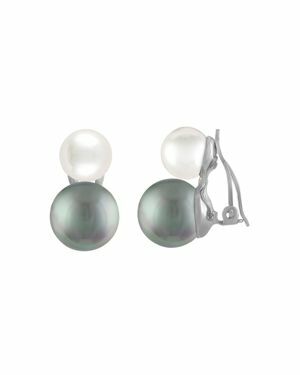 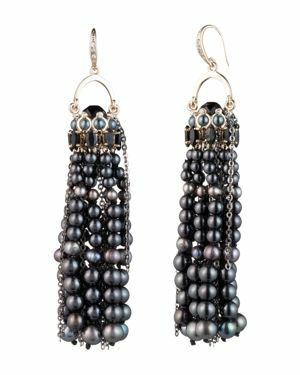 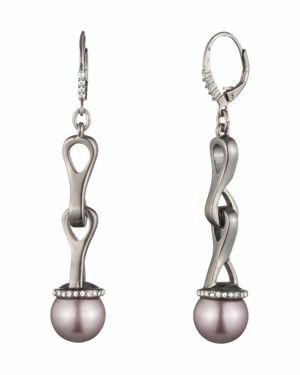 Majorica - Women's 12mm Baroque Grey Simulated Pearl Drop Ear 12mm baroque grey pearl drop earrings are beautifully crafted using organic man made pearls from Mallorca Spain. 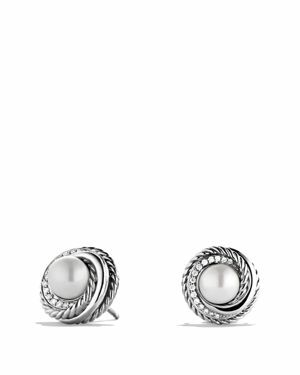 An updated classic. 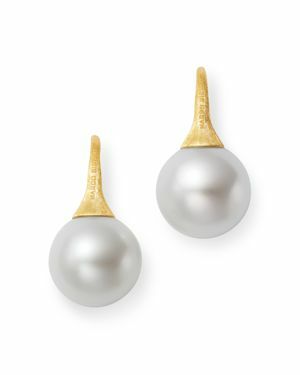 Sterling silver and 14 karat post. 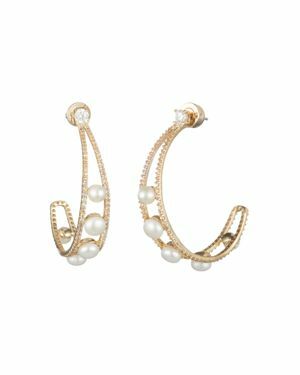 Clasp closure for pierced ears. 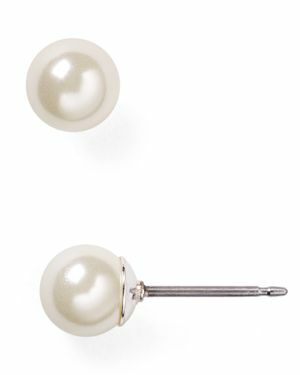 1.5 drop. 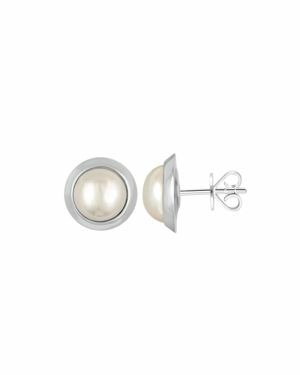 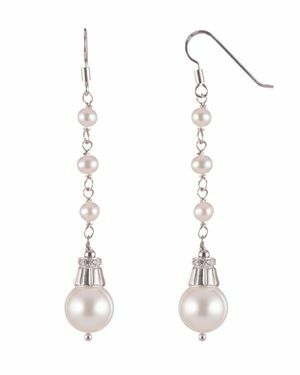 Bloomingdales - Sterling Silver and Cultured Freshwater Pearl Thre Sterling silver pierces cultured freshwater pearls on these date nightready earrings. 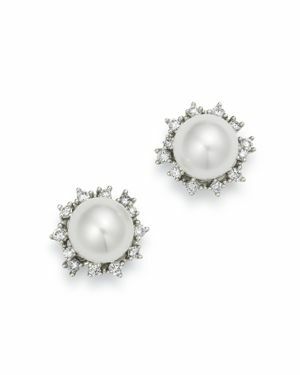 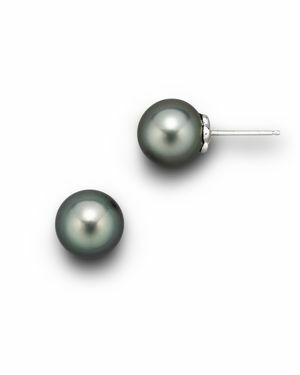 Bloomingdales - Akoya Cultured Pearl Stud Earrings, 7mm Cultured Akoya pearl stud earrings. 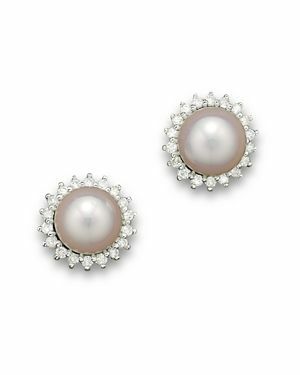 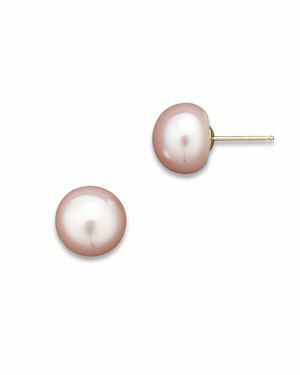 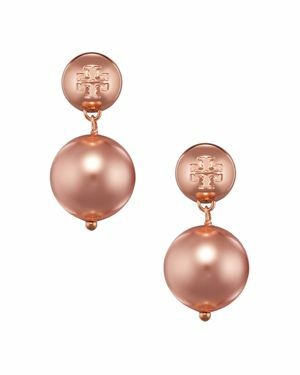 Bloomingdales - Cultured Freshwater & Natural Color Pink Pearl Stu Cultured pink freshwater pearl stud earrings. 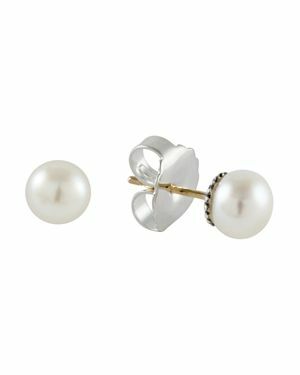 Bloomingdales - Cultured Akoya Pearl Stud Earrings with Diamonds i A classic pair of cultured Akoya pearl stud earrings with diamond accents in 14K white gold. 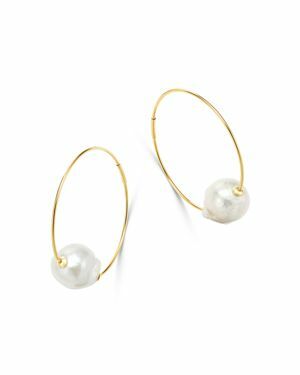 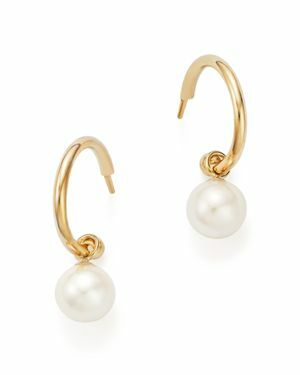 Bloomingdales - Cultured Freshwater Pearl Huggie Hoop Earrings in Luminous cultured South Sea pearls swing from this elegant pair of huggie hoop earrings in 14K yellow gold. 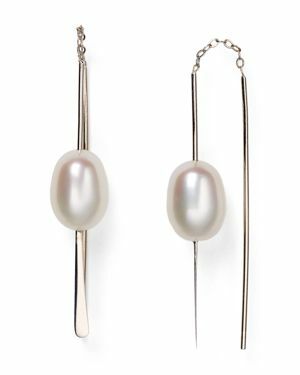 Bloomingdales - Bloomingdale's Cultured Freshwater Pearl and Spira Shining spirals suspend luminous pearl drops in these effortless day-to-night earrings from our exclusive collection. 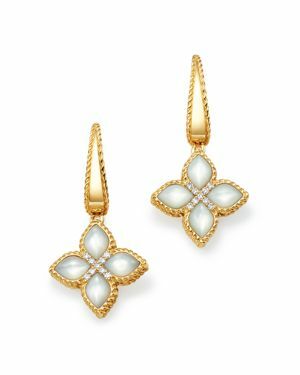 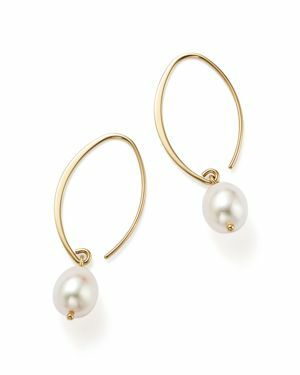 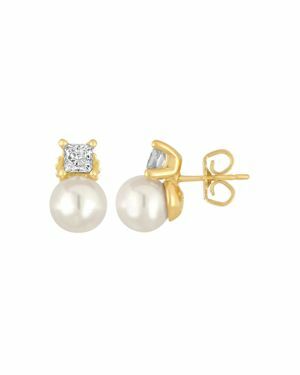 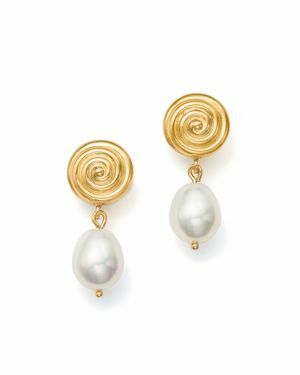 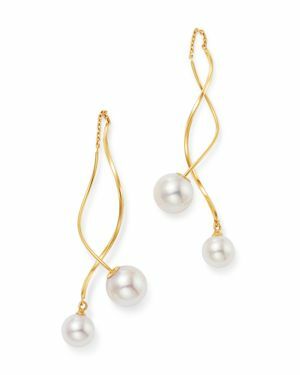 Bloomingdales - Simple Sweep Earrings with Cultured Freshwater Pea Swoops of 14K yellow gold shape these eternally classic pearl drop earrings with a modern edge. 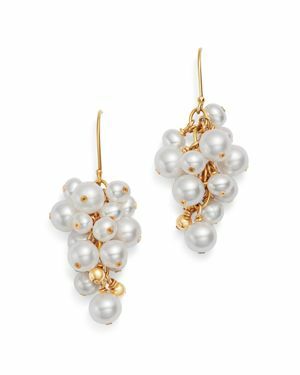 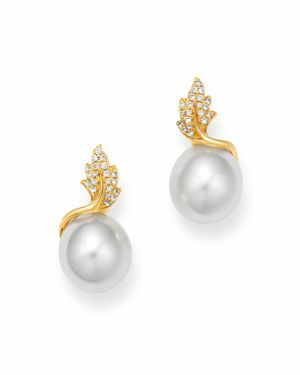 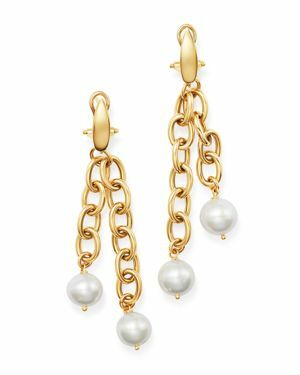 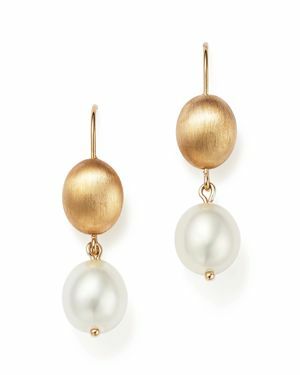 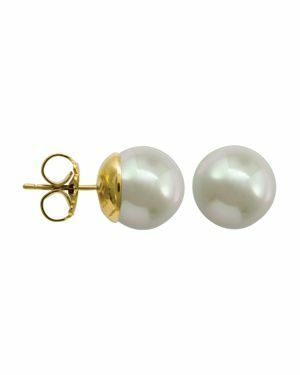 Bloomingdales - Bloomingdale's Cultured Freshwater Pearl Drop Earr A luminous pair of cultured freshwater pearl drop earrings in 14K yellow gold. 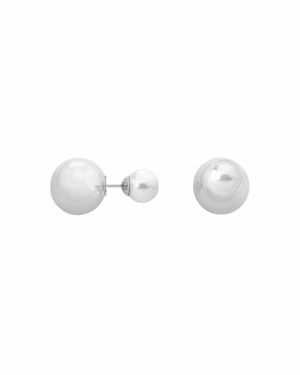 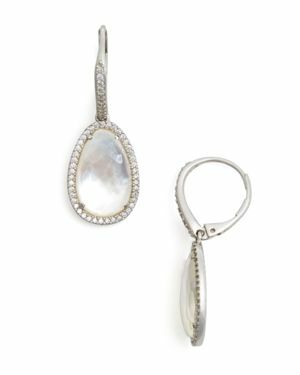 Ippolita - Sterling Silver Rock Candy Snowman Post Earrings i A pair of drop earrings with mother-of-pearl and clear quartz doublets in sterling silver by Ippolita. 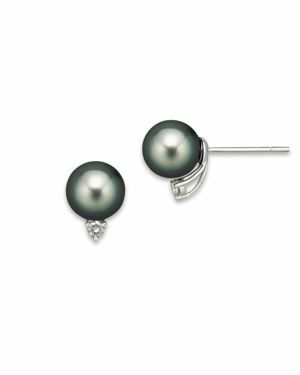 Bloomingdales - Cultured Tahitian Black Pearl Stud Earrings in 14K Gleaming cultured Tahitian pearls set in 14K white gold. 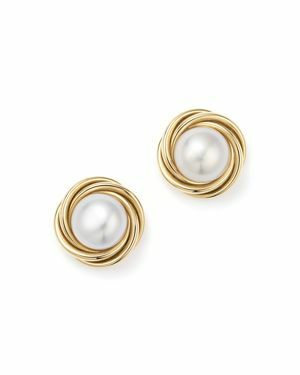 Bloomingdales - 14K Yellow Gold Knot Stud Earrings with Cultured F An enduring elegant knot design in 14K yellow gold encircles beaming pearl studs. 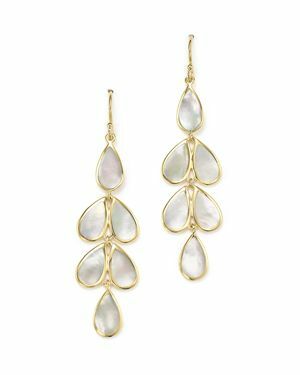 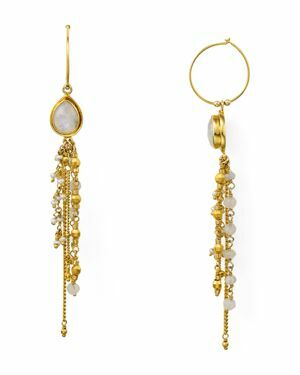 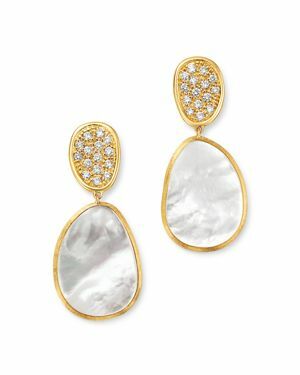 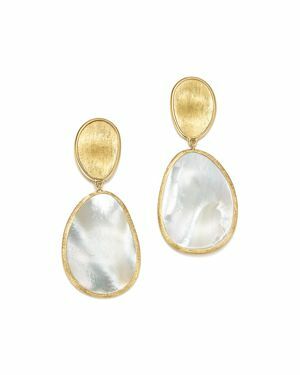 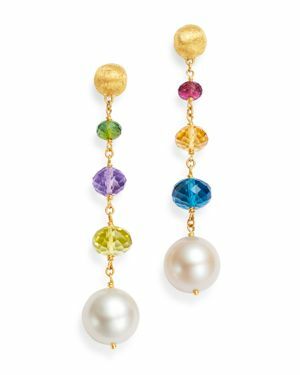 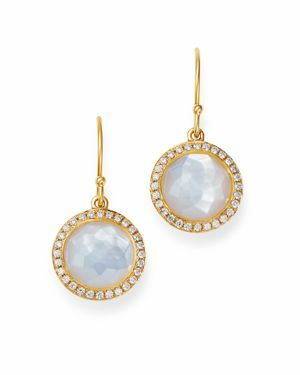 Ippolita - 18K Gold Polished Rock Candy 2 Drop Earrings in Mo Discs of polished iridescent mother-of-pearl in 18K yellow gold drop earrings. 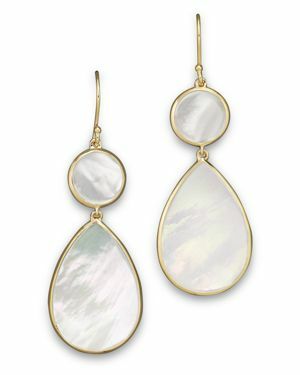 From Ippolita. 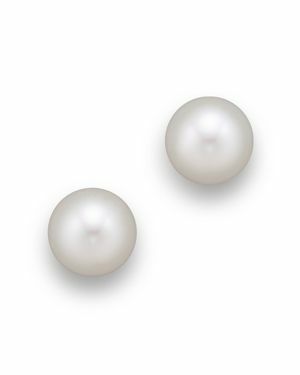 Bloomingdales - Cultured Freshwater Pearl and Diamond Drop Earring Diamonds add sparkle to shimmering cultured freshwater pearls set in 14K white gold.
. - White South Sea Cultured Pearl Stud Earrings, 10mm Cultured white South Sea pearls make a timeless statement on simply glamorous studs. 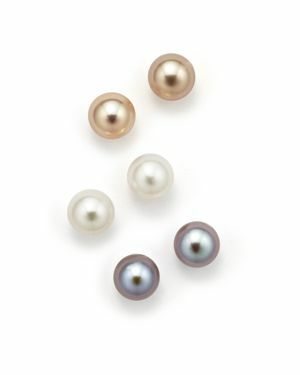 From Tara Pearls. 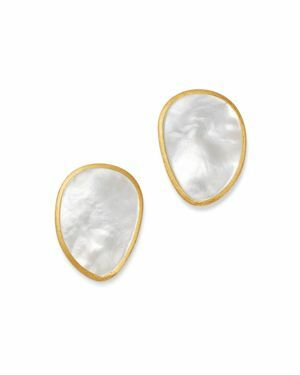 Roberto Coin - 18K Yellow Gold Mini Pois Moi Mother-of-Pearl Squa A pair of 18K yellow gold with mother-of-pearl mini Pois Moi stud earrings by Roberto Coin. 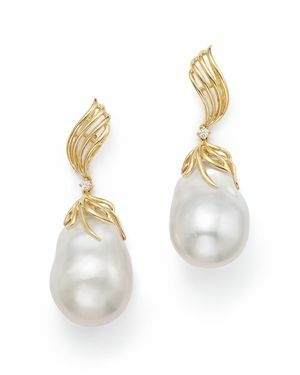 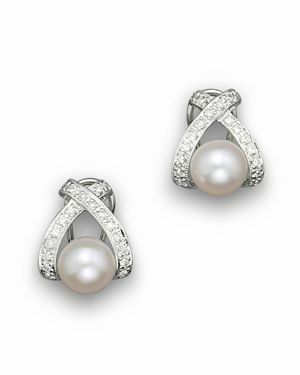 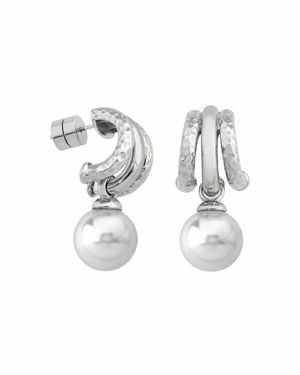 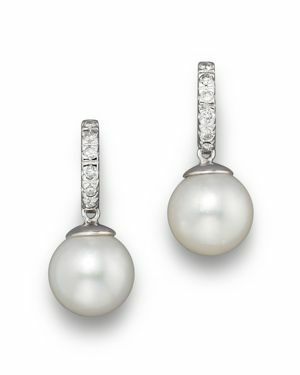 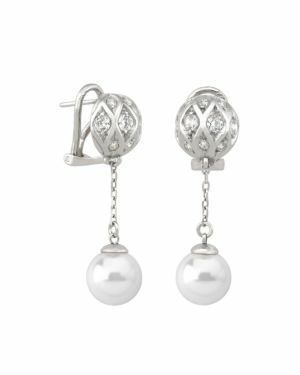 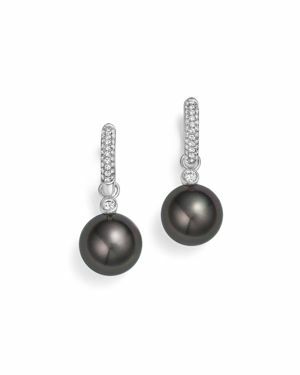 Bloomingdales - Cultured Pearl X Earrings with Diamonds, 7mm Classic cultured pearls are channel-set in an X design. 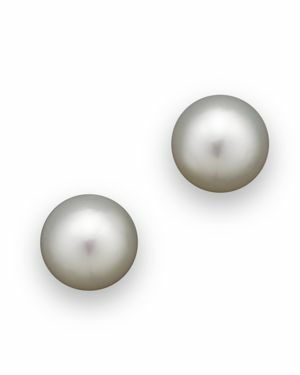 Bloomingdales - Cultured Akoya Pearl Stud Earrings with Diamonds i Cultured Akoya pearl stud earrings with a halo of diamonds set in 14K white gold. 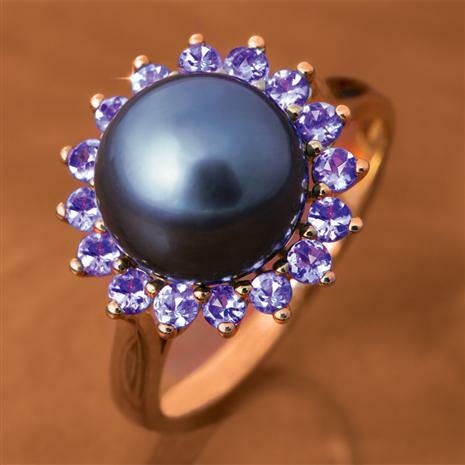 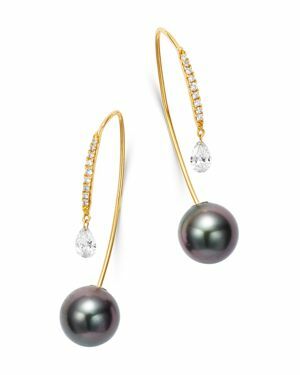 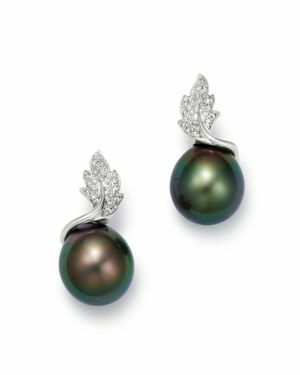 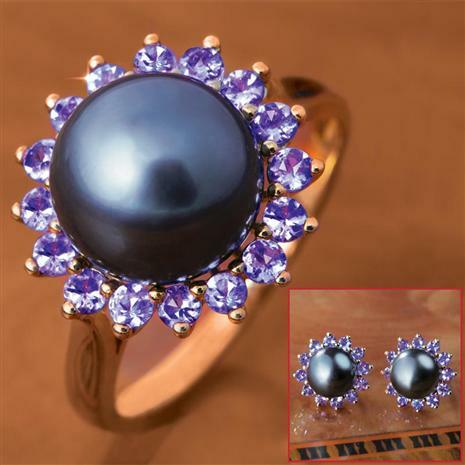 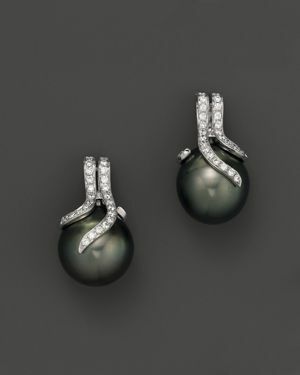 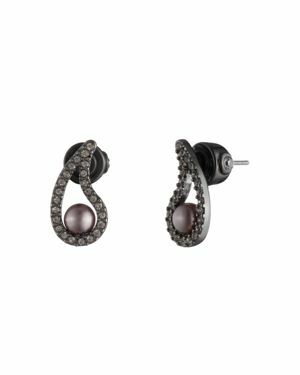 Bloomingdales - Cultured Tahitian Pearl Stud Earrings with Diamond Tahitian black pearls with diamond accents. 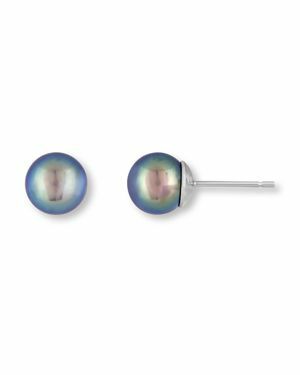 They are cultured and set in white gold.
. - 18K Yellow Gold White South Sea Cultured Pearl Stu Classic South Sea cultured pearl stud earrings with 18K yellow gold posts. 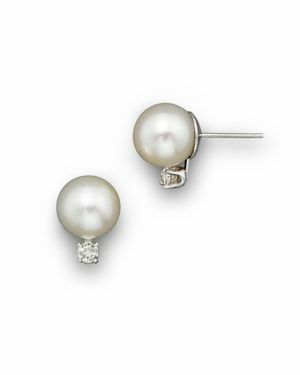 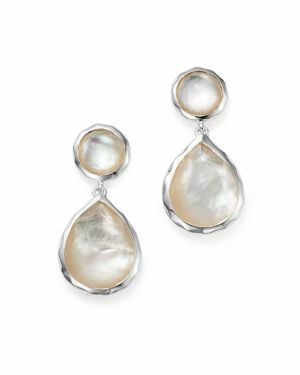 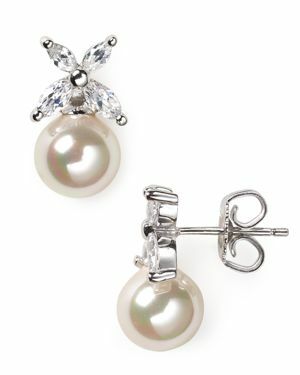 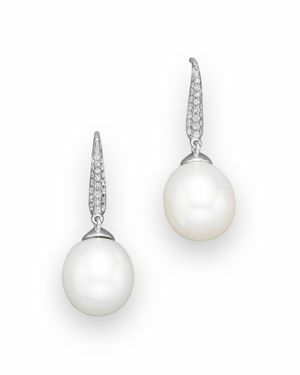 Bloomingdales - Cultured Freshwater Pearl Earrings With Diamonds i Freshwater pearl and diamond accented drop earrings. 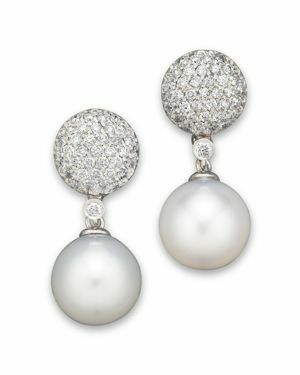 Bloomingdales - Cultured South Sea Pearl Drop Earrings with Diamon An elegant pair of cultured South Sea pearl drop earrings with pave diamonds in 18K white gold.
. - 14K White Gold, Diamond and Tahitian Cultured Pear These elegant Tahitian cultured pearl earrings are accented with diamonds set in 14K white gold. 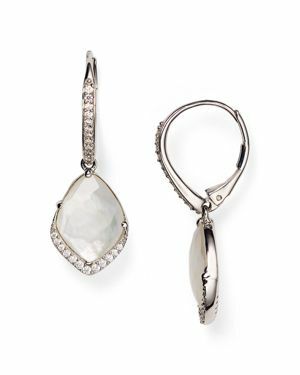 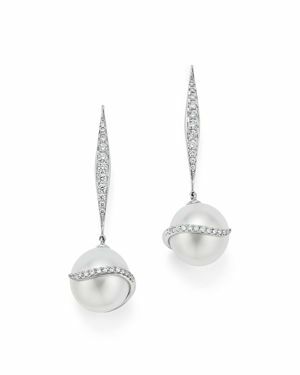 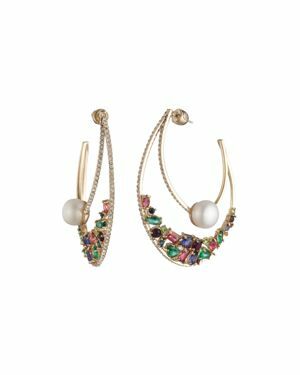 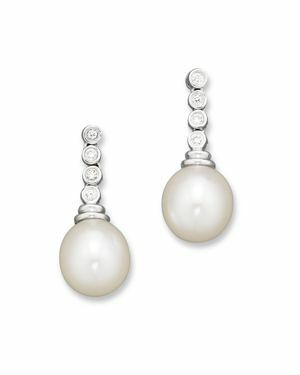 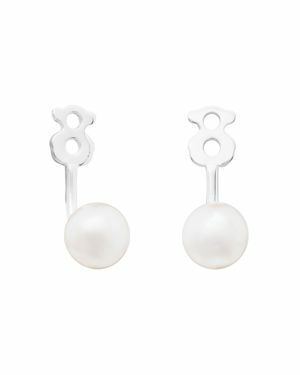 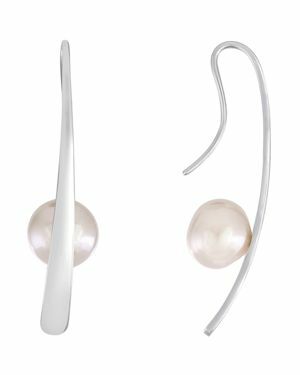 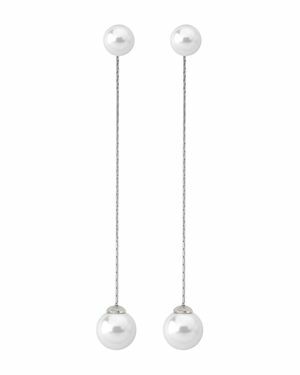 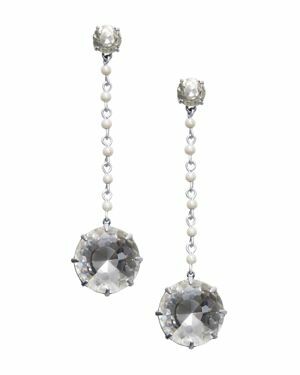 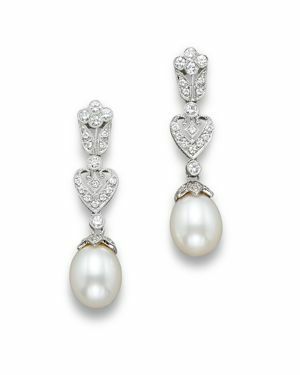 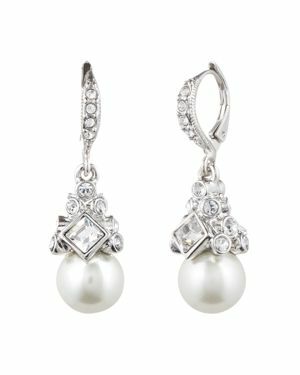 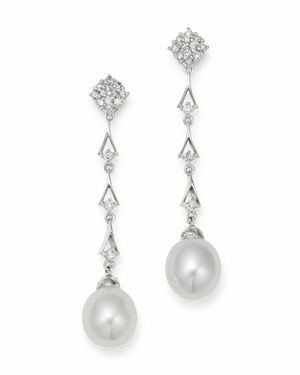 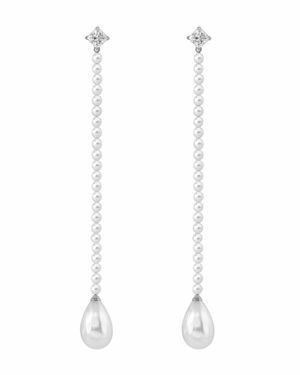 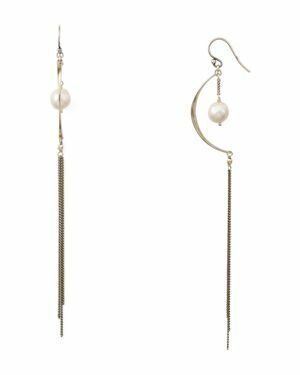 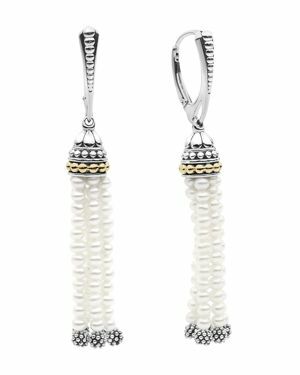 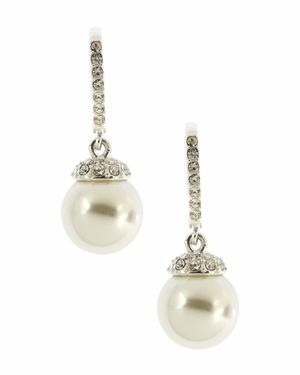 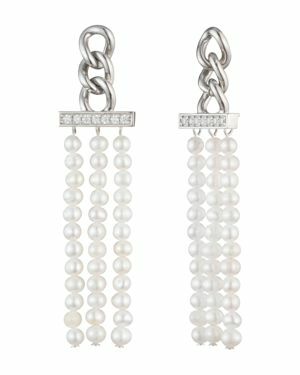 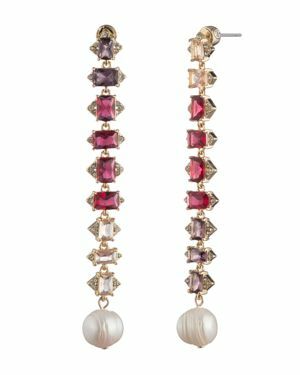 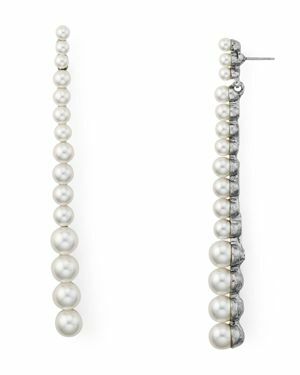 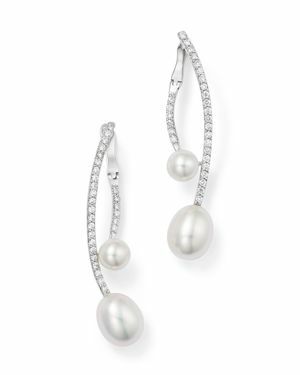 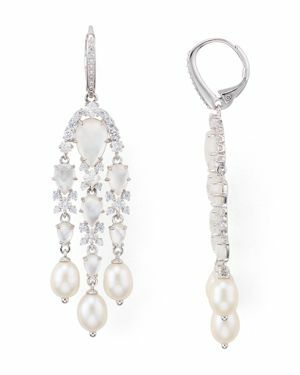 Bloomingdales - Cultured Freshwater Pearl Drop Earrings with Diamo Curved diamond bar earrings are tipped in softly gleaming pearls for an eye-catching silhouette. 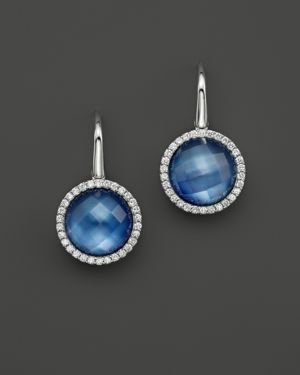 Roberto Coin - 18K White Gold Fantasia Blue Topaz, Lapis and Moth A pair of luminous statement earrings with blue topaz lapis and mother-of-pearl in 18K white gold encircled in pave diamonds.